This CD is an advance, pre-release promo-only issue direct from the record label back in the days before digital downloads and streaming became common place. Includes simple insert sheet. These weren’t meant to be fancy, and were sent out in limited numbers. CD is excellent, maybe played once if at all for review purposes. 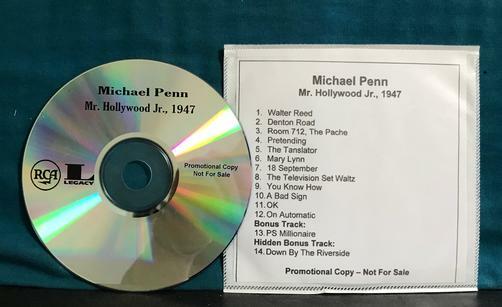 CD printed with "Promotional Copy Not For Sale"